Many of us are lovers of sunshine to some degree. 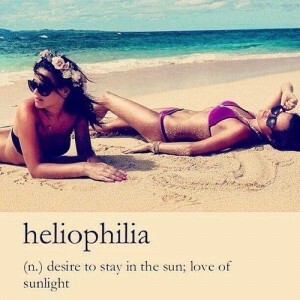 Of course, as lovely as the sun feels kissing our skin, we also aware that it causes permanent damage. Protecting our precious skin is essential to reaching the full enjoyment that the sun has to offer, without any of the guilt. *Drink your Water– hydrated/moisturized skin has a better barrier from the environment. Infuser your water with fruits and herbs for additional vitamins and minerals. *Wear your SPF– because you love your skin! Even on overcast days- this is an essential part of your beauty routine. *Self Tan or Spray Tan– get the glow you adore, without damaging your skin. The darker base layer provides additional protection from the sun.